SAN JOSE, Dinagat Islands, Apr. 15 (PIA) – Philippine Information Agency (PIA) Northern and Northestern Mindanao information cluster head and Caraga regional director Abner Caga expressed the agency’s intent to support Dinagat Islands in hyping its rich culture, local resources, business opportunities and ecotourism for its economic and socio-cultural development through information and communication. Caga mentioned in his message during the conduct of the 3-Day Seminar-Workshop on Basic News Writing, Script Writing, Photography and Video Production held in this town that it’s an opportune time to introduce further to the public the province to gain countrywide and even worldwide appreciation and to inspire tourists to visit the place. “This seminar-workshop is very helpful in motivating the local information officers (IOs) to produce and share valuable information and variety of stories about Dinagat islands,” said Caga. He added that with ample knowledge and skills, information officers will be empowered to dominate the talking points of the province. Meanwhile, Caga introduced to the participants the Advance Forward Emergency Broadcasting System (AFEBS), an original concept of PIA Caraga. He said, it will help the community in building disaster resiliency. Caga is making sure that no province within Caraga region will be lagged behind and the best way is to integrate communication to create impact to the people. Ma. Jane Mayola, public information officer of Dinagat Islands, expressed her appreciation to the PIA Caraga team for imparting their expertise in the field of communication. SAN JOSE, Dinagat Islands, April 15 (PIA) – To enhance the news writing skills of the provincial and municipal information officers here, the Philippine Information Agency (PIA) Caraga personnel conducted the Seminar-Workshop on Basic News Writing on Monday held at the San Jose Pension House, Justiniana, San Jose, this province. “News is defined as a report of a current happening or happenings in a newspaper, or on television or radio. Others also defined news as something told as having just happened; or information about something that happened or will soon happen,” reiterated Venus Garcia, Information Officer II of PIA-Caraga. In her discussion, Garcia emphasized that to decide on what to report, one must sort out news from non-news. “To do this, ask yourself the following questions about anything you think may be news: 1) Is it new? ; 2) Is it unusual? ; 3) Is it interesting or significant? ; and 4) Is it about people,” she said. She further reminded the participants that if the story or news is not new or unusual, if it is not interesting or significant, and if it will not affect the readers’ or listeners’ lives, then it’s not news. Do not publish it or broadcast it as news. “Choose the important elements of the story to highlight. Don’t pull all the “who, what, when” into one sentence. Decide which are the most important and relate it first. And remember, keep it short; use short sentences. The lead should be short and concise, telling the reader what you want to say,” stressed Garcia. Garcia also clarified that when writing a news, it must be written in an active voice; it should be written logically in sequence of events; and in controversial issues, the writer must not forget to get both sides of the persons involved. “Always attribute source. Don’t copy others’ work,” she added. Meanwhile, the participating information officers submitted their news articles during the workshop for critiquing and enhancement. SAN JOSE, Dinagat Islands, April 15 (PIA) – The provincial and municipal information officers here learned basic photography during the Day-2 of the Three-Day Seminar-Workshop on Basic News Writing, Script Writing, Photography and Video Production spearheaded by the Philippine Information Agency (PIA) Caraga held on Tuesday at the San Jose Pension House, Justiniana, San Jose, this province. “What we see in our eyes is temporary – we may remember it, but we cannot record it accurately or show it to other people. To do that we need a camera. We use camera to acquire photography,” remarked Gerie Mae Coco, photo/video editor/senior layout artist of PIA-Caraga. Coco described that photography is a method of recording images by the action of light, or related radiation on a sensitive material. “Rule of Thirds is derived by creating two vertical imaginary lines that divide the View Finder into three equal vertical columns; and another two imaginary horizontal lines that divide the View Finder into three equal horizontal columns. The point at which the (imaginary) vertical and horizontal lines intersect, is the ideal place where the subject of the center of interest is to be located. This is to achieve balance and interest,” bared Coco. Coco further reminded the participants to always be respectful of your subject. “Remember when photographing someone, be sensitive to potential privacy issues,” he emphasized. He also revealed that the following are the important principles in photography: 1) Un-clutter the picture, Zoom in; 2) Put subject off-centre/Rule of thirds; 3) Use of frames, lines and diagonals; 4) Dramatic perspective (create impact by photographing your subjects from unexpected angles); and 5) Panning (create a moving object with a camera to capture the motion), among others. DINAGAT ISLANDS, Apr. 15 (PIA) – The provincial government here through the provincial information office (PIO) conducted an orientation-seminar of its designated Information Officers (IOs) from the different provincial offices and municipalities held recently at San Jose Pension, San Jose town, this province. According to Dinagat Islands PIO Ma. Jane A. Mayola the seminar aims to orient the information officers of their roles and functions as a frontline service providers and to have a better understanding on the vision, mission, mandates and guiding principles of being an information officer. Mayola said that with the orientation seminar, it is expected that the information officers will have a better understanding of their roles and functions in disseminating information down to the community level through television, radio broadcast, print and social media. AGUSAN DEL SUR, April 15 (PIA) - The Agusan del Sur Electric Cooperative (ASELCO) declared things are in place to address the electric power shortage now experienced in this province but cannot give the daily schedule of the brown outs because of the two curtailment scheme now used by the National Power Corporation (NPC). According to ASELCO’s Gen. Manager Emmanuel Galarce, they opted to use the first scheme which is the voluntary curtailment in order to maximize the power load that ASELCO receives from the market and shorten the brown outs that the province and the whole country are experiencing at present. “The voluntary curtailment scheme that we chose at present will enable us to maximize the load that we receive from the three sources that presently supply us. We are receiving 5,000 kilowatt from Therma Marine Inc (TMI), another 10,000 kilowatt from Mapalad Power Corp (MPC) and some 4,500 to more than 8,000 kilowatt from National Power Corporation- Power Sector Assets/ Liabilities and Management Corp. (NPC-PSALM). I can say this because we will only cut the exact power excess every time our supplier call us to slow down our consumption and not the whole shortage as recommended. For example, the supplier tells us to curtail three megawatts for an hour, so we look for an area where we cut only 2.4 megawatts, so that the whole province will not suffer the brownout,” GM Galarce said. The business sector also feared that worst power shortage will take place in the entire province once the two Gaisano malls now on-going construction will operate, but GM Galarce assured that they are presently working for the solution to address power needs when the time comes that the two giant shopping malls will operate. “The initial works for the installation of the five megawatts bunker power is now on going at the side of our main building. This project is one of power sources that will address our demand for electric power,” GM Galarce said. Aside from the bunker power that is expected to supplement the need of electric power in the province, GM Galarce said, the power crises is also expected to last until six months because coal powered generators from General Santos City and Davao will be operating sometime on June this year. Galarce said coal power is much cheaper than bunker or diesel power and therefore, ASELCO can afford to buy the needed power that will address the expected sudden increase of demand. TANDAG CITY, April 15 (PIA) – Army 401st Brigade Commander Col. Gregory Cayetano has not yet kept the New People’s Army (NPA) off the hook for the alleged burning of a backhoe at around 9:30pm, Sunday in Purok 1, Diversion Road, Barangay Poblacion Barobo, Surigao del Sur. Cayetano said that he wants first to talk with the owner of the heavy equipment which according to Officer-In-Charge (OIC) Police Provincial Director Supt. Ramir Perlito Perlas, is owned by L. C. Ting Construction. In a report sent to Police Regional Office 13 (PRO 13), three unidentified gunmen on board a motorcycle were spotted at the crime scene. TUBAJON, Dinagat Islands, Apr. 15 (PIA) – The Provincial Environment and Natural Resources Office (PENRO) headed by chief forester Nathaniel E. Racho conducted recently its 1st Meeting of the Multi-Sectoral Forest Protection Committee (MFPC) held in Brgy. Navarro, this town. The meeting is composed of representatives from the town’s local government unit; religious, women, and student sectors; Philippine National Police (PNP), barangay officials, forester Maridel G. Ibarra; and extension officer Rafaela Deles. Highlighting the meeting are the legal basis for the creation of the MFPC committee and its existence, the duties of its members, how it works prior to its creation, and the open forum. The creation of MFPC is essential in protecting the remaining rainforest in said municipality particularly in barangays Navarro and Malinao. TANDAG CITY, April 15 (PIA) – Both 1st and 2nd Engineering Districts of the Department of Public Works and Highways (DPWH) in Surigao del Sur have started to implement the “Lakbay-Alalay” program for the Holy Week celebration. District Engineers Alipio Grana and Eulogio Milla of Districts I and II, respectively, told Radyo Ng Bayan that Motorists’ Assistance Centers (MACs) have already been set up since April 13, which “24/7” operation will last until April 20. 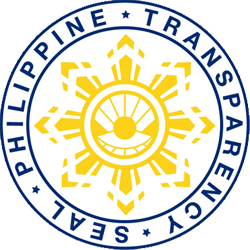 Grana and Milla confirmed that a memorandum has been issued to this effect not only coming from DPWH Caraga Regional Office XIII but also from no less than Secretary Rogelio Singson. A total of five MACs—three in the First District while two in the Second District—have been activated, it was learned. SAN JOSE, Dinagat Islands, Apr. 15 (PIA) - The Philippine Benevolent Missionaries Association (PBMA) Inc. Sports League spearheaded the grand opening parade of the 'Palarong Pandinagat 2014' on Friday participated by 20 teams from Dinagat Area I and 2 held at PBMA Administration Building, this town. Sport League National President Valentine D. Maybuena, Jr. stressed that this activity is in support to the government program for healthy lifestyle. “This is also to give honor and highlight the 54th birthday of PBMA Supreme President Ruben B. Ecleo Jr., the former congressman of this province,” Maybuena added. The parade lasted for two hours traversing R. R. Buray Avenue, Pescadores St., San Jose Port area and DM Avenue. Program and Presentation of Teams and team muse then followed at PBMA Administration building stage. This year’s board of judges are: Julieta Monteseven, municipal secretary of San Jose as chairperson; Mr. Mancia, municipal community affairs and Jolito A. Escano, PBMA Trustee and event management officer. BUTUAN CITY, Abril 15 (PIA) - Sa pagpanguna sa buhatan sa Human Resource Management, gisalmutan sa mga hepe sa nagkadaiyang buhatan ning syudad ang gipahigayong duha ka adlaw nga Seminar - Workshop on Strategic Recruitment Management didto sa DOP Center, Tiniwisan, Abril 4, 2014. Ang mga tigpamaba sa maong kalihukan mao sila Civil Service Commission - Caraga Chief Personnel Specialist Fe Jennifer Perez ug Dir. Kits Mabale, ug nabahin ang maong seminar - workshop sa tulo ka modyul: Introduction to Strategic Recruitment Management, Gearing up for a Competency-Based Assessment, ug Towards the Trend on Targeted Selection Interviewing. SIARGAO ISLANDS, Abril 15 (PIA) - Nakipagkita si Presidente Benigno S. Aquino III sa mga miyembro sa Philippine National Police (PNP) kagahapon, adlaw'ng Lunes aron makigpulong kalabot sa seguridad ug kaluwasan isip pagpangandam alang sa Semana Santa. "Gipahugtan na namo ang sekuridad sa mga malls, bus terminal, pantalan ug mga landiganan ug dunay amoang gipahimutang nga mga ‘police assistant desks’ sa mga nahisgutang establistamento (We have heightened security in malls, bus terminals, seaports and airports and we have established police assistant desks in these key establishments)," si Purisima miingon. Dugang pa niya nga ang PNP nakigtambayayong na sa nagkadaiyang mga pribadong mga ahensya alang sa pagpadala ug mga marsiyal sa mga bus terminals ug mga nauganan sa mga pasahero alang sa seguridad sa mga motorista ug mga pasahero kon biyahidor. "Ang atoang mga ‘police community relations officer’ usab mihimo na ug mga lakang sa pagpalanog ug mga pahibalo sa pagbantay nga malikayan ang mga krimen sama sa pagpangawat ug uban pang krimen batok sa mga kabtangan (Our police community relations officers have also been intensifying crime prevention awareness measures against burglary and other crimes against property)," dugang pa niya. Sumala pa sa taho nga si Presidente Aquino gilauman nga mobisita sa mga dapit sa bus terminal, mga landinganan ug mga pantalan aron sa personal niya nga maobserbahan ang mga lakang nga gihimo sa mga awtoridad alang sa pagsiguro sa usa ka hapsay ug malinawon nga Semana Santa. BUTUAN CITY, Abril 15 (PIA) - Gilauman karon ni Bise Mayor ug nangulo sa komitiba sa agrikultura Angelo S. Calo ang pagpasa sa Half Cup Cooked Rice Ordinance ubos sa Sangguniang Panlungsod ning dakabayan. Tuod man, nagpahigayon ug pagdungog ang Komitiba sa Agrikultura aron sa pagplastar sa mga reglamento nga mamahimong sakop niini, lakip na ang pag konsidera sa mga kan-anan nga gahanyag ug “unlimited rice” sa ilang mga kustomer. 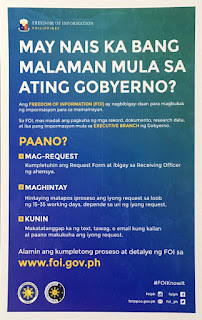 Nahisgutan usab ang pag-delegar sa Business Permits and Licensing Division ning dakbayan alang sa regular nga pag-monitor ug pag-susi sa mga kan-anan para masiguro ang pagtuman sa maong ordinansa sa higayon nga mapasa na unya kini. Sulod sa Half Cup Cooked Rice Ordinance, tunga sa tasa na unya ang mamahimong basehan sa usa ka order sa nilung-ag nga bugas sa matag kan-anan ning syudad. Kini nga pamaagi gilaumang makatabang aron dili masayang ang bugas pananglitan dili na kini mahurot sa nagkaon. Mahibaluan nga ang parehas nga ordinansa naaprubahan ug kasamtangan na nga giimplementar sa uban nga mga syudad sa nasud susama sa Bohol ug Davao.